Rub some salt, chilli powder turmeric powder and garam masala powder onto the chicken pieces. Keep in the fridge for some time to marinate, atleast 20 mins. Keep the pieces outside for a little while for it to reach room temperature. Fry the pieces in a tava with a little oil and turn the pieces over once the side has turned brown. Drain the oil and soak pieces in tissue or a cloth. 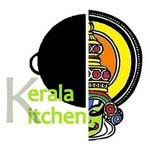 i just took part in an event on Kerala Kitchen, and realised u were a part of it. You have a lovely blog here, hats off to u! I started a blog a month ago, and it's growing slowly. I have also made a chicken fry recipe on my blog. Do chk it out n let me know wat u think! Happy to be following u!